Dispensaries are perhaps the most important legal means of distribution of marijuana today. 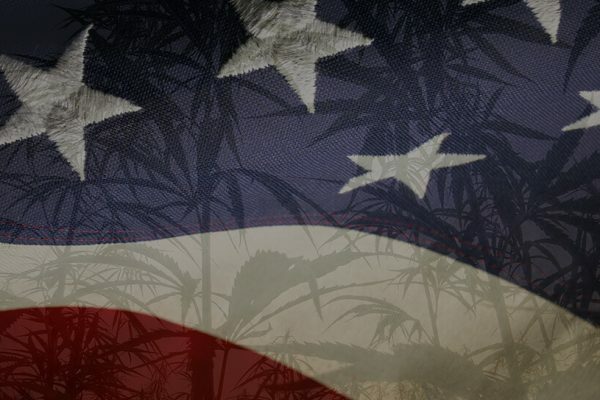 This has caused a boom in dispensaries opening up their shops to excited smokers around The US. While there are a lot of great dispensaries to choose from, it can be hard to find the one that truly provides the right atmosphere for your medicinal and recreational marijuana needs. 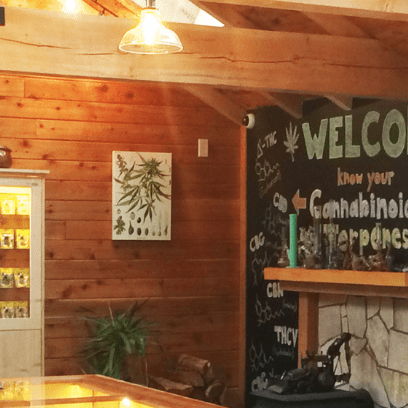 When it comes to branding for a cannabis dispensary, there are quite a few things new dispensary owners must consciously analyze in order to stand out from the crowd in 2019. 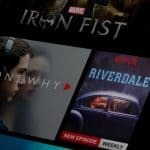 Some dispensaries use recognizable logos or themes, others use specific language and staff to create a unique experience for their desired customers. 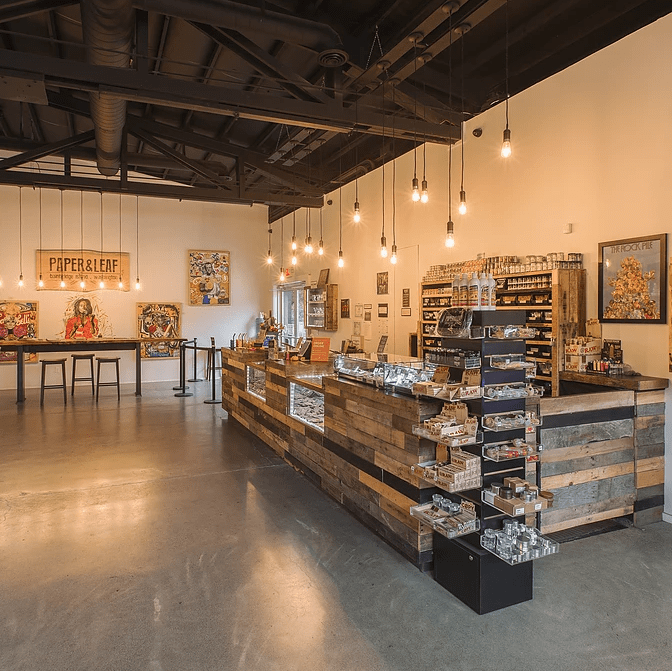 On this list, we have gathered the cannabis dispensaries that we believe stand out and set a bar for dispensary branding in the cannabis industry in 2019 and for years to come. Study the list to get inspiration for your dispensary or contact CannaVerse to improve your current dispensary branding and marketing. Barbary Coast Collective’s branding strategy was purposefully constructed for the casual and relaxed cannabis consumer. 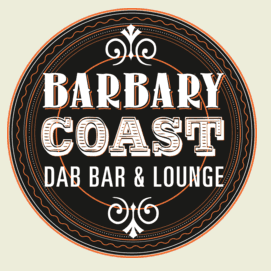 By providing a comfortable environment for newcomers and experienced smokers alike, Barbary Coast differentiates itself from the crowd by inventively creating a special club for marijuana enthusiasts in the form of a dab and vape bar. 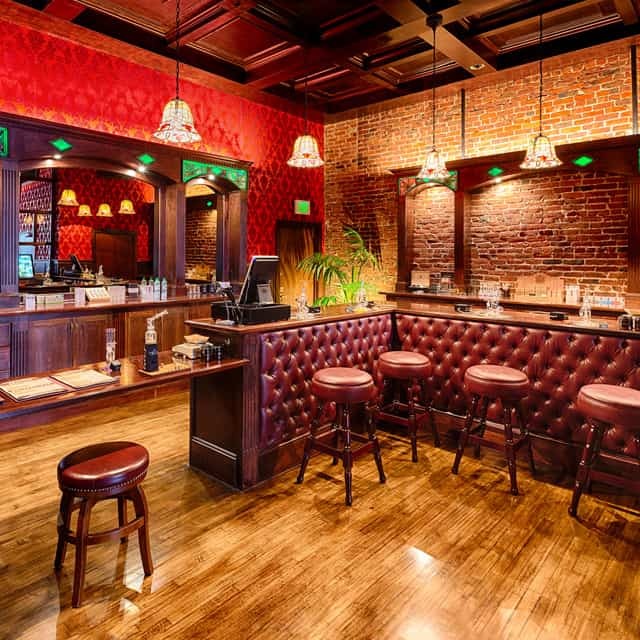 The bar is supplied with only their finest products, where customers can enjoy their cannabis while watching one of the various TV screens together with other customers. In creating this space, they have designed a place where cannabis enthusiasts can come together to smoke their products while hanging out with a community of fellow blazers. Their friendly and sophisticated environment is displayed through video graphics as soon as you look at their website. Check out this dispensary to admire their professionally created web layout and elegant orange logo which intuitively informs us of their elegant yet laid-back dispensary. 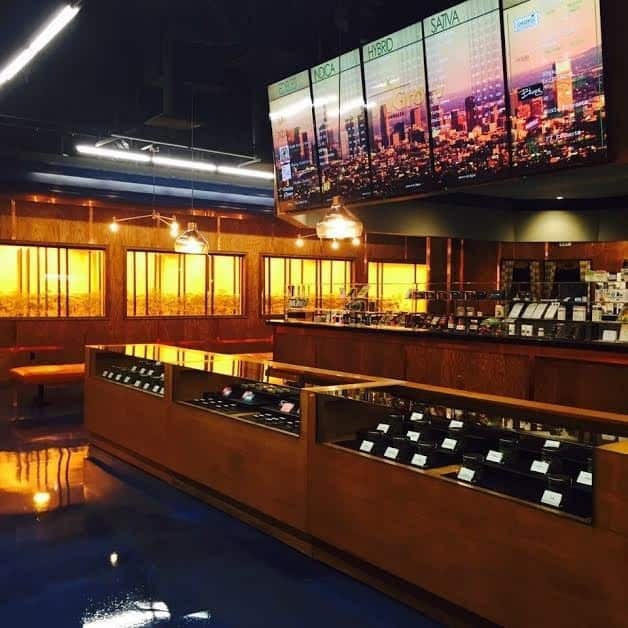 With two shops in California and one in Nevada, ShowGrow’s dispensary branding invites everyone to come into one of their dispensaries and speak with trained “budtenders” while admiring their one of a kind live grow room. The grow room allows both experienced and new smokers to see the behind the scenes of a dispensary. At first look, we understand that the dispensary is medically oriented as seen by the brand’s logo, where they present us a simple yet effective use of the well-known medical cross and a sprout growing out from the dispensary’s name. This clinical look helps build trust and comfort in medical users. If you’re a newcomer and in need of a medical cannabis card, ShowGrow provides a link on their interactive website to facilitate the procedure. They also have an app that lets you track points and redeem them when buying in their shop. With 19 locations under their belt, Native Roots has claimed many prizes that recognize their excellence. In 2016 they won “Best dispensary in Colorado” at CannAwards and in 2017 the readers of The Cannabist voted Native Roots “Best dispensary with the best budtenders in Colorado”. Looking into their branding, one can see why they’re so acclaimed. Most of the designs chosen for their locations consists of a simple, rustic exterior that is so typical of Colorado. The interior is modern and gives you the feel of walking into a snowboard shop. The magic of their dispensary branding, though, can be really experienced on their website where you are invited to explore all kinds of multimedia such as downloadable wallpapers, Native Root workers’ interviews, education on legal marijuana and more. These are just the branding details that allow the industry to move forward as a whole. 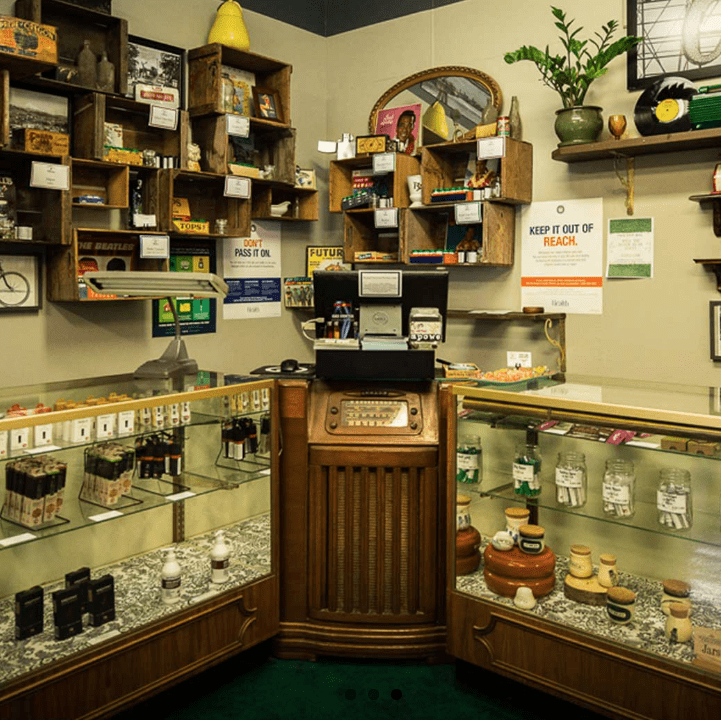 The Clinic is another well acclaimed dispensary, their awards include several first-place wins for best flowers, concentrates and CBD products. 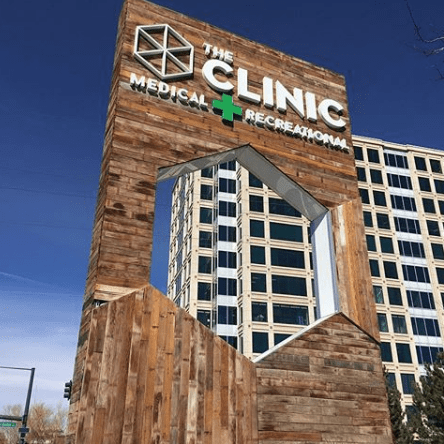 The Clinic maintains its main operations in Colorado but also has two dispensary locations in Illinois. They use a welcoming, newcomer-friendly vibe on their website where they provide a “Cannabis 101” page that explains all the terms in the marijuana business and an F.A.Q. page to create a feeling of connection with the consumers and answer any relevant questions.  They brand themselves with the emblematic use of dark blue on their logo and website which enhances the feeling of getting in touch with a serious and responsible cannabis consumer. Their website provides details about their business as well as displays their special discounts for each day of the week. Once again, we see a Colorado dispensary that uses wood as their main texture. 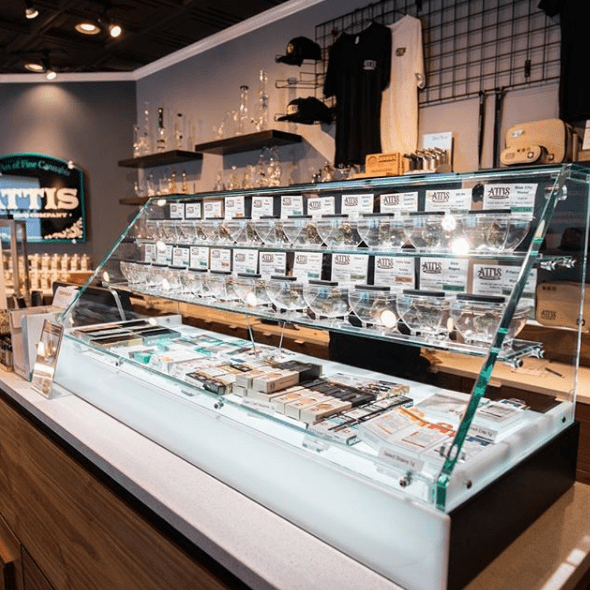 Attis Trading Co. is a brand that truly feels like a medical dispensary. From the labeling to their “old school”, apothecary logo they give the impression of control and organization. Their large product displays help to welcome curious visitors to take a closer look. All of their five locations are stylish and follow the same central mission of healing physical pains and psychological traumas. 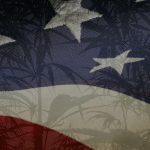 In supporting this mission they do a great job in educating their consumers on the therapeutic uses of cannabis. They also do a great job in giving information to non-consumers in order to eliminate the stigma society has against marijuana use. Additionally, Attis Trading Co. provides consistency and quality products for recreational users and they display this in their slogan “The Art Of Fine Cannabis“. Their website consists of online pre-ordering and blog posts, which contain strain reviews and user guides for those who are just starting out. 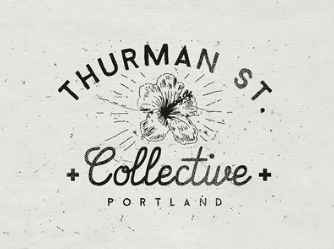 A cannabis dispensary that creates a fun atmosphere through their branding techniques is Thurman Street Collective, located in Portland. This dispensary provides a unique experience to Portland smokers that sets them apart from the crowd: a contemporary art gallery, where they display local artists’ work, creating a sense of community with Portland’s best artists and fellow smokers. They display new work every month and host opening receptions with a portion of the art sales going to Friendly House, the local community center. Furthermore, on their website, they offer an “Education Center” with a slew of articles relating to marijuana use. Check out this video of their storefront. With their relaxed atmosphere and ample space, along with special events for educational or recreational purposes, this brand takes care of its customers by making them feel comfortable whether an experienced smoker or a newcomer. The inside of the dispensary is set up very much like a modern pharmacy which runs right in line with the green cross on their logo representing medicinal cannabis use. Their detailed and simply designed website provides F.A.Qs on Nevada’s weed regulation and a reward system for frequent buyers. 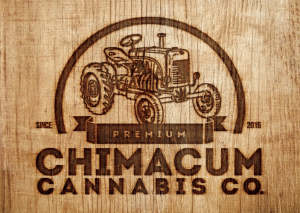 Recognized by High Times as one of the best dispensaries in America, Chimacum Cannabis Co. is a beautifully restored farmhouse dispensary that uses a rustic theme for its branding strategy as seen by their slogan: “Local. Natural. Kind” and their logo contains natural undertones with its unique use of a wood burned tractor as their design. 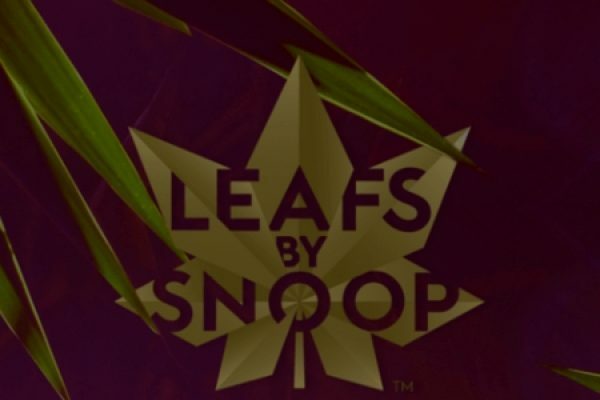 Visit their website to see how they brand themselves, using black, white and green as their color palette to display their various strain reviews and featured products. Also, check out their page highlighting their growers, an addition that not many dispensaries include. 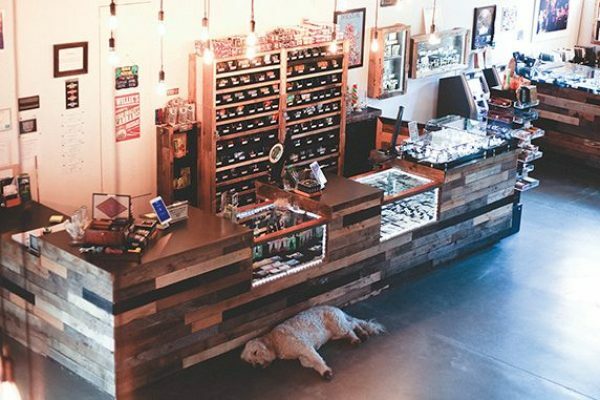 Located on Bainbridge Island, Paper & Leaf presents itself as a rustic yet high-end dispensary. Its storefront is spacious and tastefully decorated using a simple wooden color palette. 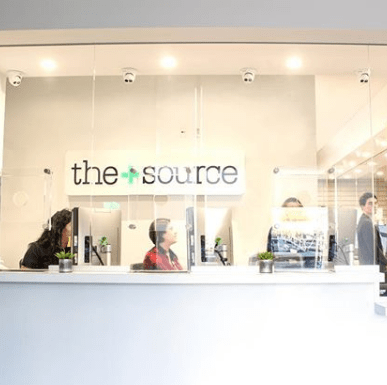 Just like their name implies, there’s a natural and organic feel to the dispensary in both design and the voice of the budtenders. The display of their products is spacious and inviting for customers to come in and enjoy their stay in a relaxed environment. Check out their storefront for yourself by watching their dispensary tour video.